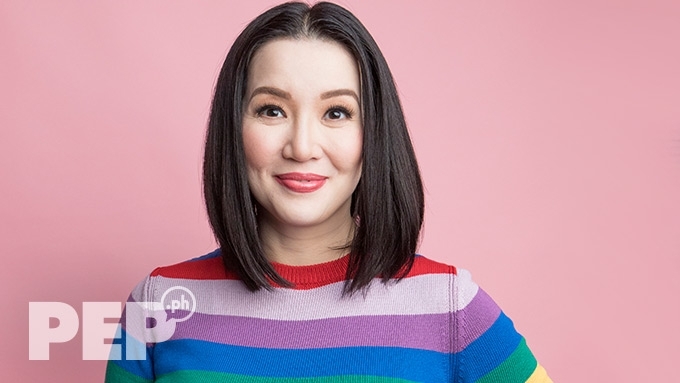 After more than 20 years in the entertainment industry, Kris Aquino decided to invest more time and money in her business ventures. Kris has always been forward-thinking when it comes to securing the future of her sons—Josh and Bimby. This is probably why the 47-year-old host spent the past few years learning the ropes of running different kinds of businesses, and establishing her own business empire. Kris's eye for business started in 2007 when she first teamed up with Boy Abunda, ad agency executive Nonon del Carmen, and Atty. Agnes Maranan to open MAD Ad Agency. In 2008, Kris partnered up with Boy again and launched Sierra Madre Alkaline Water. Both businesses were active until 2012. In an episode of Kris TV back in 2014, the former Kapamilya star explained what sparked her interest and passion for business. "As much as this [being a celebrity] has been talagang so generous towards my life, this can't be my life forever, kasi, di ba I want to have a family life. "I want to be able to make hatid-sundo sa school. 'Tapos by the time puwede ko nang gawin iyan, malaki na si Bimb…"
"I have to be able to offer something more than the fame, the popularity, and the last name so kailangan may success ako sa negosyo." Kris's foresight about her showbiz career did come true with her unexpected departure from the Kapamilya network in 2016. But the actress-host had already established her food empire even before she left TV. She now owns five fast food franchises—all of which are under Jollibee Foods Corporation, and most are found in Quezon City. In December 2014, she opened her first franchise of Chowking at Ali Mall in Cubao. In 2017, she opened another branch in Welcome Rotonda. In February 2018, she opened her third franchise on Quezon Avenue corner Araneta Avenue. Kris was also reportedly opening her own branch of Jollibee at the hometown of her mom, the late President Corazon Aquino, in Tarlac early this year. She also owns a franchise of Mang Inasal on Aurora Boulevard. Kris is also the president of Nacho Bimby Pilipinas Corp., and she teamed up with businessmen Joe Magsaysay and Dom Hernandez to put up Potato Corner + Nacho Bimby. They now have 14 branches across the country since starting in September 2015. Aside from her food businesses, Kris also established several production companies under her name. Kris formed her production company Kris C. Aquino Productions (KCAP), which currently produces content for her digital platforms. The company has been registered on Department of Trade and Industry (DTI) since 2014, but it was only in November 2016, when the company started producing videos and vlogs for her official website and social networking sites. Since 2016 until September 2018, KCAP and Nacho Bimby Pilipinas Corp. were being managed by Kris's former business manager Nicko Falcis. Kris also established a different film production company called Kris Aquino Productions, Inc. (KAPI) in 2012 which co-produces films, television shows, and other media formats that starred the celebrity-entrepreneur. Some of the movies co-produced by KAPI were Instant Mommy (2013), My Little Bossings (2013), and Feng Shui 2 (2014). Apart from this, Kris also co-produced the following movies: Segunda Mano (2011), Sisterakas (2012), and All You Need is Pag-ibig (2015). Her latest business venture is the DDD KCA Philippines, a subsidiary of a Thailand-based skin care company called Do Day Dream Public Company Limited, which exclusively distributes Snail White in the country.